The composer-lyricist talks about God, Broadway and the Tonys. 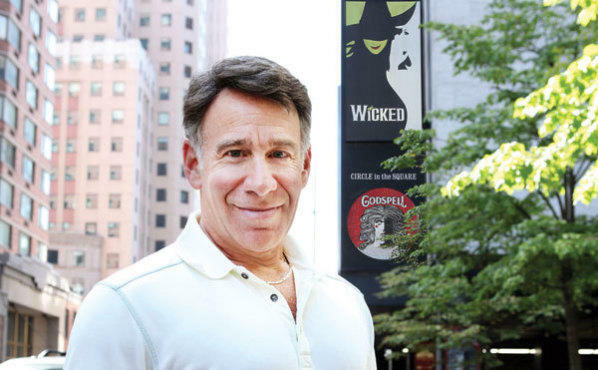 Despite a four-decade career that includes three iconic musicals, Stephen Schwartz has never been a critics' darling. But what do reviewers know? The 63-year-old songwriter behind Godspell, Pippin and Wicked has enjoyed incredible commercial success on Broadway, and over in Hollywood, he's won three Oscars for his work in animated movies. Although he's made L.A. his home in recent years, Schwartz is currently in New York for the first Broadway revival of Godspell, which is in previews at the Circle in the Square Theatre. We spoke with the theater vet about his career, his critics and the elusive Tony. Most of your shows are really epic.... I see that makes you smile. I take it as a compliment. That said, I've certainly done shows that aren't, like The Baker's Wife. While many of my musicals deal with big themes and ideas, I don't intentionally go looking to write shows like that. A story will interest me and then somewhere along the way, I discover that hidden inside are these epic themes. In some ways, Godspell may be your most epic piece. After all, it is the Greatest Story Ever Told. But told with great humor. [Book writer] John-Michael Tebelak's take was brilliantly creative. He took this story that had been in our culture for 2,000 years and found a completely fresh way to approach it. Usually these biblical tales are done with a sort of deadly earnestness. John-Michael emphasized Jesus' teachings as opposed to his suffering. Godspell and Jesus Christ Superstar debuted in NYC the same year: 1971. Yes, they came up together. In fact, I knew of the existence of Superstar when I began working on Godspell because the concept album had just come out. I was really careful not to listen to it until after Godspell opened, not because I was afraid I might inadvertently steal something; I worried I might not do something, as I would have been hyperconscious of any similarities. Fortunately, the point of view of Superstar is completely different from Godspell, so they've always been able to exist side by side. Of course, lots of people still tell me how much they love "I Don't Know How to Love Him," and I always have to say, "That was Andrew." And Superstar just announced a return in the spring. God stuff seems to be back in style on Broadway: Book of Mormon, Sister Act. Why do you think that is? We're in trouble as a society right now. However red or blue you are, it's clear we're pulling apart. A lot of things in life seem to have failed us. That existed when Godspell and Superstar were first done. It was the time of the Vietnam War, there was a lot of dissension within society. When that happens, people look for unifying principles. I don't mean that they're turning to God, because that's not really what Godspell is about. The show uses Jesus' story to talk about people coming together. I find whenever I talk about the show, it sounds so serious that it makes me want to run screaming! If done well, those are the underpinnings, but the show is fun. On the surface, Book of Mormon is extremely irreverent, but underneath there's a great sweetness and a very positive message. I think Godspell—though not as extreme as Mormon—shares that kind of dichotomy. Although you've done very well in Hollywood, many people will always think of you as a theater guy. And yet, for all of your stage success, you don't have a Tony. Sometimes I feel like I should add that to my bio—three Oscars, four Grammys, zero Tonys—just so people don't get it wrong! I think that the people and shows that win are good but not necessarily the most deserving. I'm not talking about myself; I'm talking in general. I don't think it's a secret that New York tastemakers don't love my work. I assume you won't name names? There are certain papers and magazines that have never given me a good review. That's disappointing, but I don't think they have any animus against me personally. I have a certain sensibility that some people respond to and others don't. I would like to have won a Tony, I guess, because I have always thought of myself as a theater person. But I've won my share of awards, so I don't worry about it. One of my favorite lyrics is from Sondheim's Sunday in the Park with George. In the last song, "Move On," a character sings, "Stop worrying if your vision is new, let others make that decision—they usually do." That's good to remember. Godspell is at Circle in the Square Theatre.